Vice President Chief Dr. Taylor served as Senior Senator of Bong County with a resounding mandate from the people of Bong County to represent their interests, hopes and aspirations; as evidenced by her election as Senator in 2005 and again in 2014. Ø Honors Graduate from the prestigious Gabriel L. Dennis Foreign Service Institute, Ministry of Foreign Affairs, Republic of Liberia. Vice President Chief Dr. Taylor is a daughter of Bong County, born to the Royal Household of Kerkula Giddings of Sanoyea District. King Giddings in his tenure wrote the script to the Kpelle language. The Vice President was raised as a child on the Phebe Hospital Compound under the watch of her loving parents, Mr. Moses Y. Howard and Mrs. Nora Giddings-Howard., both of whom were enviable professional Health Workers who died in service to the people of Bong County and are buried at the Phebe Compound. Vice President Chief Dr. Taylor is a visible and very involved stateswoman; with a vision for affordable but quality education; transparent justice system; improve and accessible health system; women’s economic and political participation; and an accountable public service system. 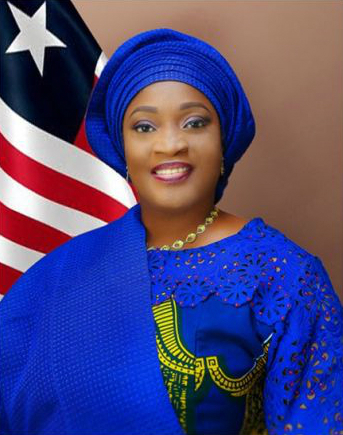 She is one of Liberia’s foremost advocate for increased and improved opportunities for women of Liberia; thus becoming a critical voice on cross-cutting issues at many frontlines in the battle to reposition Liberia for vibrancy, productivity and democratic good governance. On account of her national disposition, the Vice President is fondly called the Vice President without boundaries. While she represents Bong County in particular, her voice and views are national in scope. Ø Women Advancement Forum Award in recognition of her contribution to the Emancipation, Motivation and Advancement of Women of the World; 2014, Gambia. Vice President Chief Dr. Taylor is a grass rooter and a strong pillar of the Christian Community; a believer in women empowerment, multiparty democracy, freedom of speech, Human Rights and the Rule of Law. 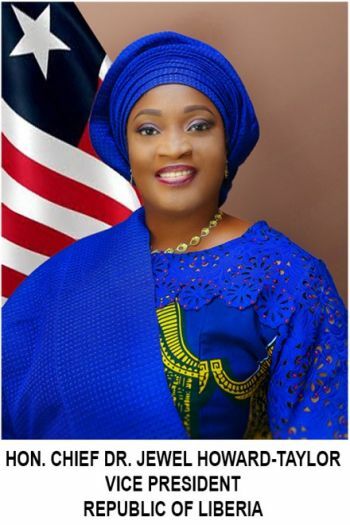 As a result of her more than 18 years of experience in both the private and public sectors; she, unlike most politicians of today, has the privilege to be able to cut across political, social and ethnic lines, and has friends and collaborators in all political establishments in Liberia. Vice President Chief Dr. Taylor remains a strong voice for change and progress in our Nation, and an icon for Liberian Women. As a result of her passion and commitment for a better and more equitable Nation for all Liberians, she was often referred to as the “People’s Senator” and in confirmation of this title, Newsweek Magazine voted her the 2nd Most Powerful Female Politician in Liberia in 2011. Vice President Chief Dr. Jewel Howard-Taylor, a Nationalist, Former First Lady of the Republic of Liberia, an Eminent Citizen, a Devoted Christian, the Standard Bearer of the National Patriotic Party, a Vice President of the Republic of Liberia and President of the Liberian Senate, a Distinguished and Dedicated Public Servant, a Patriotic Citizen and a Positive Role Model.